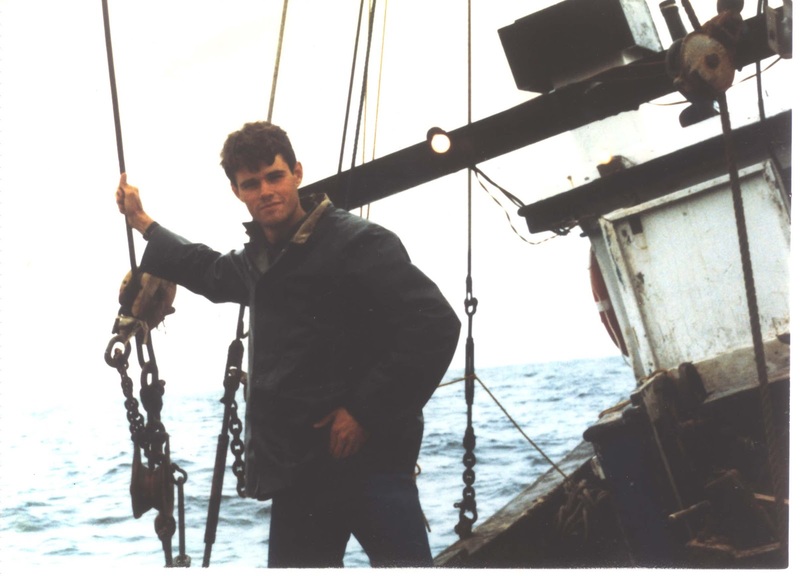 Here's a picture of me when I was working on the boats. 1. Describe yourself with three words. world - where would you go? Breakfast - Krossbu Lodge, Jotunheimein Mountains, Norway. Dinner - Maya Tulum, Yucatan, Mexico. 5. What makes a day a perfect day? Write for 6 hours. Jog 3 miles. Take a nap. 6. How do you come up with ideas for your novels? Each book begins with an anecdote I have heard or some small detail I have read. Then it grows in my head like a pearl inside an oyster. Eventually, my head becomes so full with ideas that I have to start writing or I will go crazy. The writing itself becomes like an exorcism of the phantoms who have taken up residence in my mind. alternative to writing? I write most of the time, but I also teach at a school just outside New York City. I only teach one class for each of the three terms - The First World War, The Second World War and the History of Exploration. I teach at the High School level and enjoy the work very much. I don't think it's a good idea for a writer to spend all his time writing. You end up spending too much time with people you have invented and not enough with people who are real. 8. Do you have a favourite author? If so: Who and why? I don't read much for pleasure anymore. That is not to say I don't read. I read all the time, but mostly it has to do with research on the books I am writing. What this means is that I don't often focus on a single author but I do focus on specific topics. When I was younger, I read a lot of Conrad, Chekov, Tolstoy, Grass, Boll and St. Exupery. 9. Which book did you read lately? Right now I am reading the memoir of Anatoli Sudoplatov, which is titled 'Special Tasks'. Sudoplatov was a Soviet Intelligence officer during the Stalinist period. 10. Which book would you recommend to everybody? 11. Which person from a novel, a film or the public life would you like to meet? I would like to meet Professor Moriarty, the nemesis of Sherlock Holmes. I would like to know about his early life and what it was that made him the villain he turned out to be. 12. Which historical event would you like to have witnessed? Last year, I drove across America, following the trail of the Lewis and Clark Expedition. They set out from the East in 1802 and traveled, by boat and on foot, all the way to the Pacific Ocean. They were gone for three years and covered thousands of miles. I would have liked to have been on that expedition, to have seen so many things that no European had ever seen before. 13. If you had those famous three wishes - what would you wish? 1. When I was 7 years old, my parents sent me away to boarding school in England. I attended the Dragon School in Oxford and then Eton. The schools were very strict and I think that a lot of who I am now, for better or worse, was formed during those years. For one of my wishes, I would like to know how I would have turned out if I had not left home so young. 2. I spent several years working on deep sea fishing boats off the coast of New England. On one voyage, I was struck in the face by a chain which had snapped loose. It broke some of my teeth and my jaw and the injuries still cause me problems, even though it was a long time ago. For my second wish, I wish I could have ducked and have the chain sail harmlessly above my head! 3. For my last wish, I would like to go back in time and meet with myself at the age of 16, which is when I started writing. I would like to tell my younger self not to work so hard. I worked all the time! I know it probably helped my career as a writer, which began when I published my first book at the age of 21, but I think I might have enjoyed myself more if I had not been so impatient. Now I am much more calm when I sit down to work every day. I know how much of my life is beyond my control. I am happy now, and content, and I wish it had not taken me so long to become this way.